Enough dithering. 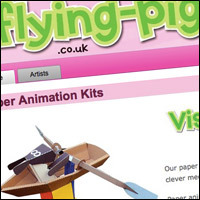 I've finally taken the plunge and switched the servers to the new flying-pig website. From where I'm sitting it looks like it is working. There are still a few products that need to be added but overall I'm really pleased with the finished result. I hope you like it too!